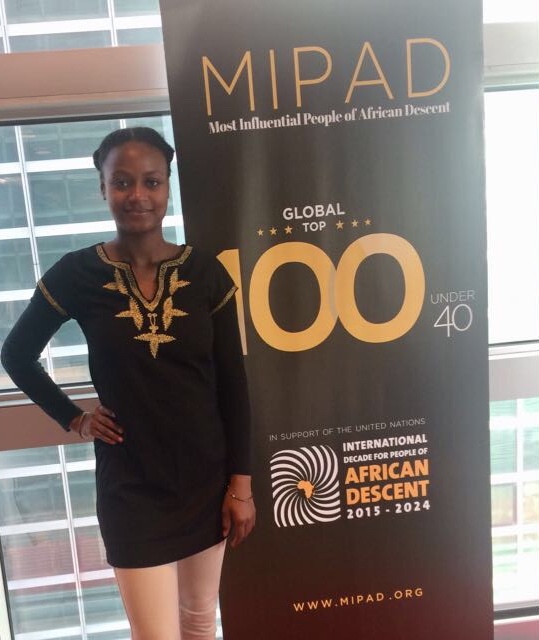 AIIS congratulates junior fellow Jazmin Graves on being named one of the MIPAD Global Top 100 Most Influential People of African Descent Under 40. The Most Influential People of African Descent excellence organization provides global recognition and leadership training to enhance the local impact of current and future leaders in Africa and its diaspora, in support of the United Nations’ International Decade for People of African Descent (2015-2024). An emerging standout in her field, Graves has worked closely with AIIS to both explore avenues for collaboration between scholarly areas and pursue her own research on the African Indian Sidi community in Western India. Graves, a PhD candidate in South Asian Language and Civilizations at the University of Chicago, received the 2018-19 AIIS Rachel F. and Scott McDermott Fellowship to carry out her research project, “Music and Mediumship in the Sidi Sufi Devotional Tradition of Western India.” In addition, Graves has participated in the AIIS Urdu and Gujarati language programs in India. Being honored as a MIPADian was a deeply impactful experience for me, both professionally and personally. On the first day of the “Discovering Excellence” training hosted by Momentum Education during MIPAD Recognition Week, MIPAD CEO Kamil Olufowobi highlighted one of the aims of the week as introducing some of Africa’s highest achievers to their counterparts in the Diaspora. As an African American woman, it was highly compelling to connect with individuals from almost all of the different African nations identified in my ancestry test results, and to discover the ways in which their unique contributions to the development of Africa and the enrichment of its peoples mirrored my participatory action research projects with the Sidis of Ahmedabad, an Indian community of African ancestry. I am exceedingly grateful to the American Institute of Indian Studies for investing in my summer language study in India and my doctoral research on the Sidi Sufi devotional tradition. In addition to this, AIIS’ support of the 2017 SISAAS Colloquium led to invitations to collaborate on a forthcoming book and to speak alongside distinguished panelists at the United Nations, where I met the CEO of MIPAD. I am grateful to Kamil for seeing me—a young scholar and Afrodescendant, working in an academic capacity to shed light on the history, religious traditions, current needs and aspirations of western India’s Afrodescendant community—as worthy of the incredible honor of being named one of the Top 100 Most Influential People of African Descent under 40 for the year 2018. Congratulations on this well deserved honor, Jazmin!